Last edited by ThunderZ; 10-27-2011 at 01:00 PM. Is this the only color it's available in? 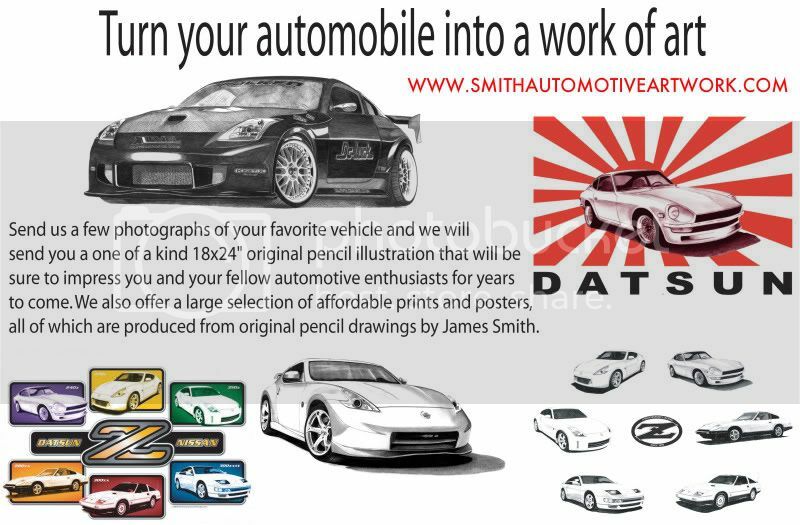 It is a black and white poster of black and white pencil drawings....there are no other colors. Last edited by ThunderZ; 01-02-2009 at 10:37 PM. I changed the poster again. I think this is a nice option. Last edited by ThunderZ; 10-27-2011 at 01:01 PM. 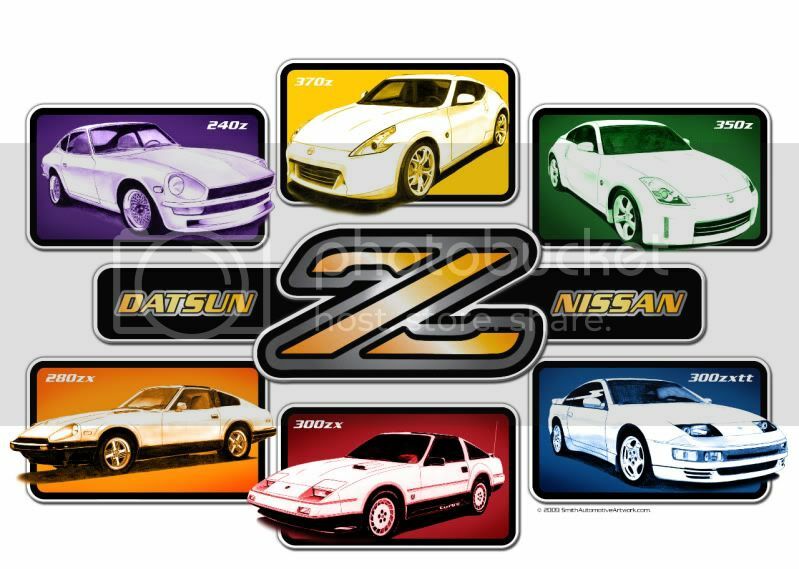 An idea, the Z emblem in the middle could be exchange for a person depending on which Z they own? 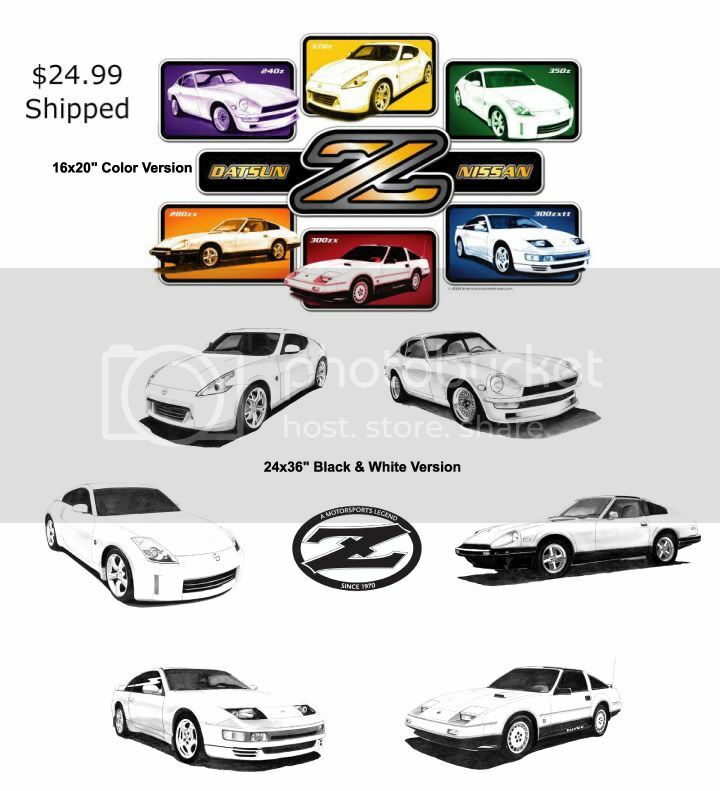 Say someone who owns a 350 or 370 and the Z will be of the era from the car they own, just a thought. That would be ok if I was the one printing them I guess, but to do custom prints would mean me spending a lot more time running back and forth from the printer and that would drive the cost way up. Just got my heritage poster last night. Makes a nice center piece for the "Z" wall in my entertainment room. Mine was damaged when it was shipped, is there any way I could get it replaced? Whats the Vendor pricing on this! PM me! Its a real nice poster, but to be honest the paper he uses is real delicate, so take your time working with it while you frame it. Last edited by NewYorkJon34; 02-05-2010 at 08:44 PM. Thanks Jon...that is good advice. The posters are very large and as a result require extra care while handling. They are worth the extra care and result in a very impressive wall hanging. The price has also been reduced. Last edited by ThunderZ; 02-07-2010 at 10:22 AM.